Lesson one in Pokemon battling is understanding that Pokemon come in different types. 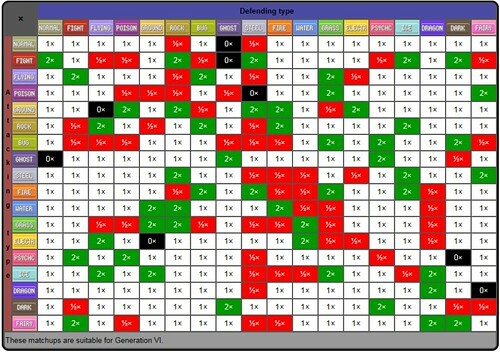 Here are the standard Pokemon Types. I do not believe that Pokemon Go has the ??? type. Beware not learning the Types! Failing to observe the types can lead you to getting crushed by an opponent you could have otherwise beaten. Types have been one of the long observed Pokemon strategies since the very first Pokemon game. Poke Types are actually one of the first lessons that Ash Ketchum learns when he first begins his journey. He makes the mistake of having his Caterpie attempt to take down a Pigeotto. Caterpie is a bug pokemon which do very poorly against flying Pokemon. Whooops that was not a good idea. Don't be like Ash learn about Pokemon Types before Battling! Understand that Pokemon is a certain type, and also its attacks fall into types. The Pokemon's type and its attacks types are not necessarily the same. I have Meowth for example that is a normal type Pokemon but has Dark Type Attacks. These differences can be used to your advantage. Keep in mind that in Pokemon Go you can scope out the Pokemon of the various gyms in advance. 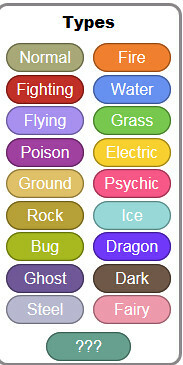 You can thus determine the combat power and the type of Pokemon being used at the gym. 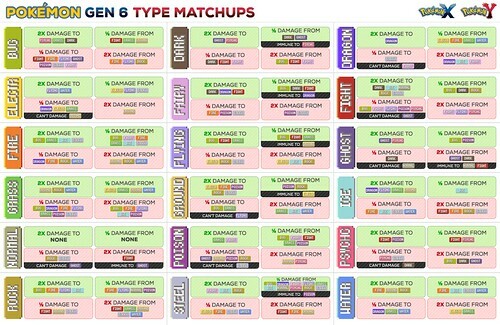 Select a Pokemon that has a type advantage against the Gym's Pokemon. Especially, if your Pokemon is at lower CP this can help give your Pokemon an edge against even powerful Gym Masters. Here is a grid that lays out all of the different combinations from a prior game of Pokemon. I am not sure if these relationships are exact for Pokemon Go but I imagine they are still generally correct.